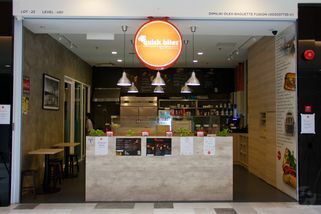 Lot No 22, UG1, Publika Solaris Dutamas, Jalan Dutamas 1, Solaris Dutamas, 50480 Kuala Lumpur. From the main entrance of Publika, go 1 floor down towards BIG. 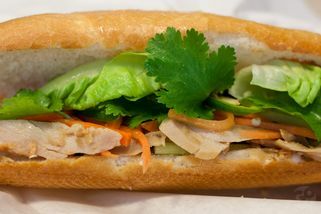 Quick Bites is on your left, right by the escalator before you arrive at BIG. 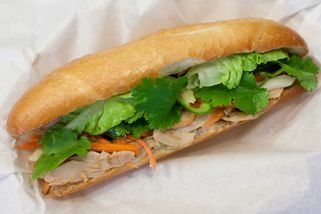 Quick Bites is a fusion of Vietnamese cuisine and Western—it’s mainly a sandwich place, ideal for people who need a quick bite before work or during lunch between busy schedules. 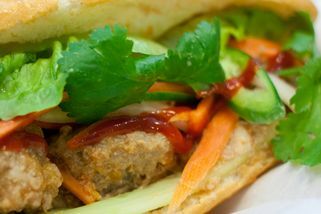 The sandwiches here at Quick Bites are unique and one of a kind—they’ve got lemongrass chicken sandwiches, beef meatball sandwiches (Oriental spices), and also vegetarian sandwiches. 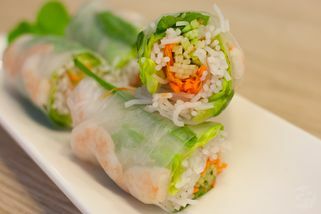 Other than that, you can also get spring rolls, garden rolls, and summer rolls here. 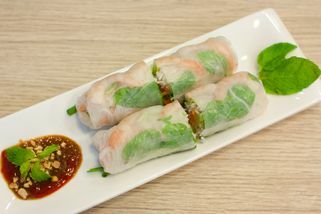 Coffee is also available either for takeout or for enjoying in house. 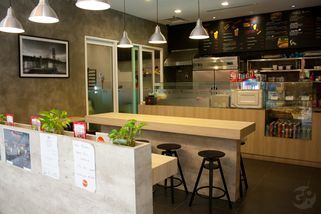 Quick Bites originated in San Francisco, and this is their first outlet here in Malaysia. Located in Publika, the small, cozy store has cafeteria-style seats with long tables and free wifi—ideal for people who need to get some work done. The ambience is clean, bright, airy, and minimalistic—very nice lighting and touches on the ceiling. Certainly not overdone and very conducive to doing some work.